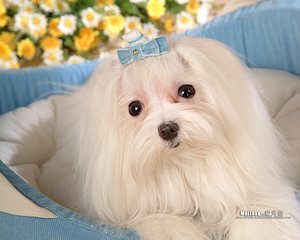 The Maltese is a small breed of dog in the toy group, known for its silky white hair, though many owners of pet Maltese give them a short "puppy cut" for ease of grooming. The Maltese breed is descended from dogs originating in the Central Mediterranean Area. The breed name appears to refer to the Mediterranean island of Malta, however the origins of both the breed and its name are unclear. The name is sometimes described as deriving from the Adriatic island of Meleda, or the defunct Sicilian town of Melita.The Federation Cynologique Internationale proposes this ambiguity because the adjective "Maltese" comes from the Semitic word, màlat, a common root of the name of all three places. However, the FCI incorrectly applies the Semitic word to the island of Méléda, the name of which is simply derived from Greek.